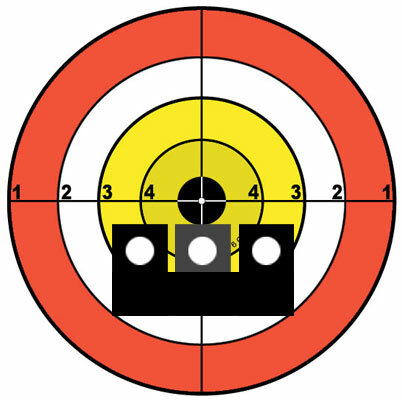 When shooting a firearm accurately, it is essential to align the front and rear sights, the barrel, and the target. And when all these are in alignment, with proper stance, grip, and trigger control, the hammer drops, the firing pin hits the primer, and the bullet goes exactly where it is supposed to. Sometimes, it’s really that easy. I have a friend who collects old World War II firearms, and one day at my son’s request he brought his restored British Bren to our back pasture. He mounted it on the big, heavy tripod, lined up the sights on the target, and all my son had to do with his first shot was pull the trigger to make sure that milk jug filled with water exploded. But things don’t always line up perfectly. Often, whether the firearm is new out of the box, or has been bumped in transit, we find that the sights need to be adjusted because they’re not lined up well with the barrel. Sometimes the target isn’t where we expected, so we need to shift our sights. At other times, wind, distance, or other environmental factors require us to adjust our aim as well. What we don’t do, however, is move the target. This is the same with leadership. Leadership is very easy when everything lines up perfectly and all we have to do is pull the trigger. But the true test of the leader is what he or she does when the legal, moral, ethical, and right don’t line up. And when that happens, it requires a virtuous leader, one who is able to discern the right, to make the tough decisions to do that right rather than redefining the target. Please click here for more information on the author.